Our team has professional experience with over sixteen years combined experience. Co-owners Kathi Mezger and Mary Bauer saw the need for fun and affordable med spa in the city in which they live, Georgetown. Kathi is a licensed manicurist and Mary is a licensed medical esthetician. 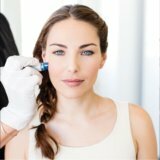 Both are certified laser specialists as well. Affordable and result driven skincare is our mission. 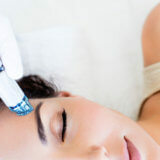 We offer products and treatments that fit every budget. We believe skin care should not be a luxury, but a part of every persons daily routine. Our customized treatments combat all skin types and conditions that won’t leave your pocket book empty. The products we use (personally and professionally) are pharmaceutical grade with no fillers, parabens, or animal by products. These clean, active and organic ingredients actually change the skin, from spearmint to pomegranate and lavender to vanilla, you will enjoy a sensory experience with every use.